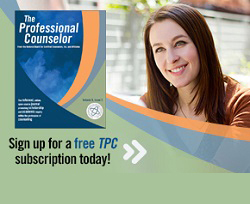 Counselor preparation is multifaceted and involves developing trainees’ clinical knowledge, skills and competence. Furthermore, counselor self-efficacy is a relevant developmental consideration in the counseling field. 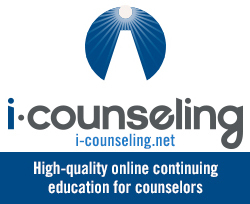 Therefore, the purpose of this longitudinal investigation was to examine the effects of a counselor preparation program on students’ development of counseling self-efficacy. The Counselor Self-Efficacy Scale was administered to 179 master’s-level counselors-in-training at three points in their counselor training and coursework, including new student orientation, clinical practicum orientation and final internship group supervision meeting. Findings indicated that students’ experience in their preparation program resulted in higher levels of self-efficacy. 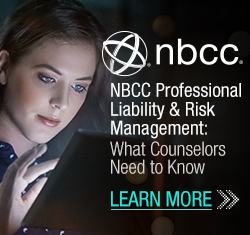 Counseling self-efficacy (CSE), defined as one’s beliefs about his or her ability to effectively counsel a client, is an important precursor of effective clinical practice. While research has explored the association of CSE with variables such as counselor training, aptitude and level of experience, little attention has been paid to CSE among school mental health (SMH) practitioners. This study examined the influence of quality training (involving quality assessment and improvement, modular evidence-based practices, and family engagement/empowerment) versus peer support and supervision on CSE in SMH practitioners, and the relationship between CSE and practice-related variables. ANCOVA indicated similar mean CSE changes for counselors receiving the quality training versus peer support. Regression analyses indicated that regardless of condition, postintervention CSE scores significantly predicted quality of practice, knowledge of evidence-based practices (EBP) and use of EBP specific to treating depression. Results emphasize the importance of CSE in effective practice and the need to consider mechanisms to enhance CSE among SMH clinicians.